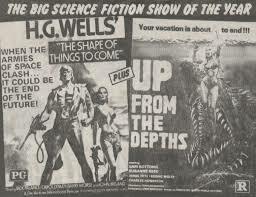 Many years ago, John Mathews (the News Hound) & I took a 45-minute walk to a now long demolished theatre in Hackensack NJ to see a new Science Fiction film. It was the height of the great science fiction craze that had exploded in movies, books, comics and television since STAR WARS( Fox ,1977) hit the scene. We should have known something was up when the two of us were the ONLY audience members. However, we settled back to have our private showing, hoping for the best. Well, we enjoyed, but for all the wrong reasons. Remember the audience reaction in THE PRODUCERS(Embassy,1967)? I am sure that our faces somewhat resembled that. About 45 minutes in, the screen suddenly went black, and the manager came down and said if we would take two tickets for a future film, they could all go home early. John & I happily accepted. Now, in 2016, I finally get to see the entire film. There was no offer for a refund this time, though, even though I got through the entire picture. Released in 1936, the film was the 16th most popular U.K. film of 1935-36. However, the film fared less well at the U.S. box office and so was viewed as a box office failure. Now it acknowledged as a classic and admired for how prophetic Wells was at his prediction of a second World War (he was only off by a few months). The 1979 film was a Harry Alan Towers (international film producer whose product ran the gamut of quality from classic TEN LITTLE INDIANS(WB,1965) to dire (SHE,Prophecy,2001)production funded using private investors and the Canadian Capital Cost Allowance of 1974. 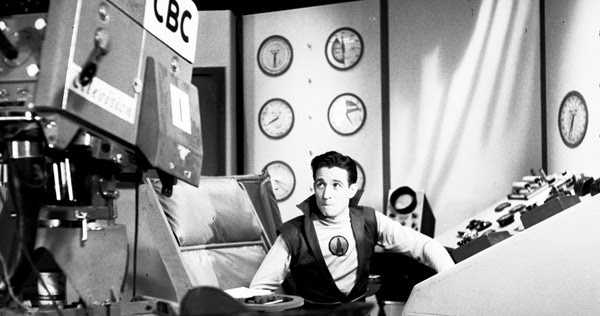 Canada had had some science fiction tv in the 1950’s (a young James Doohan starred briefly in SPACE COMMAND(CBC,1953) which also had a guest appearance by William Shatner! ) but for the most part there was not a lot of Canadian film science fiction product. 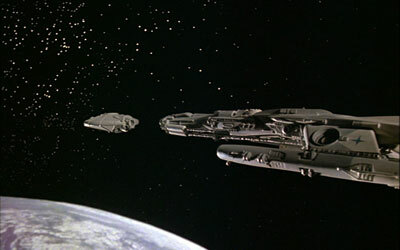 Their previous science fiction “epic”, STARSHIP INVASIONS (1977, Hal Roach/W.B.) 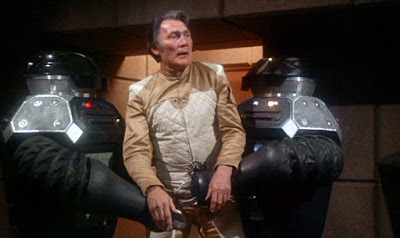 had an inflatable spaceship and Christopher Lee in a very unflattering spandex outfit and Robert Vaughn missing the high standards of TEENAGE CAVEMAN (A.I.P.,1958). Photo: Andrew AnthonyPhotography Date: November 1953. 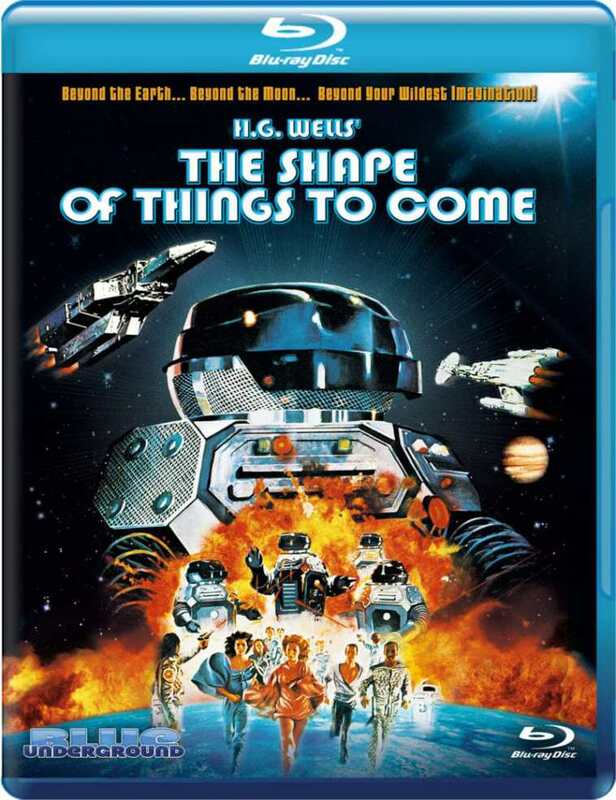 SHAPE OF THINGS TO COME was not a lot better. The film has almost NOTHING to do with Wells, except having a Dr. John Caball (Barry Morse), wherein there was Raymond Massey as John Cabal/Oswald Cabal (one” L”). The “plot” set in the future has Earth recovering from devastating war, forcing the human race to flee and inhabit the moon. To survive mankind needs an anti-radiation drug called ‘Raddic-Q2”, produced only on a faraway planet called DELTA 3 (as opposed to spice from Dune?). 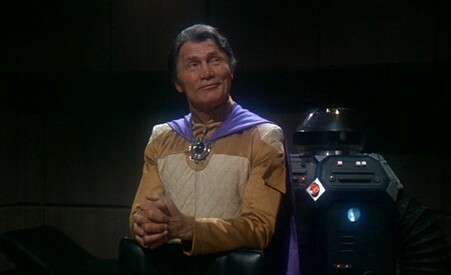 A cargo ship from Delta 3 is deliberately crashed into New Washington by self-proclaimed New Emperor Omus (Jack Palance, who must have been in deep to H.A. Towers, having worked for him since 1969’s JUSTINE(AIP) and later in the misogynistic GOR (Cannon,1987)). 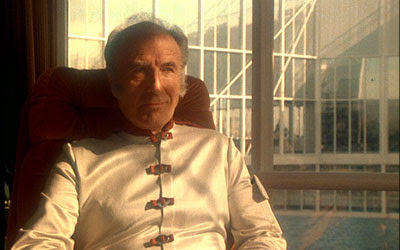 The master computer Lomax (voiced by the Laurence Olivier of Canadian theatre, William Hutt) feels a counter -strike would be imprudent. Senator Smedley (John Ireland, THE HOUSE OF SEVEN CORPSES, Int. 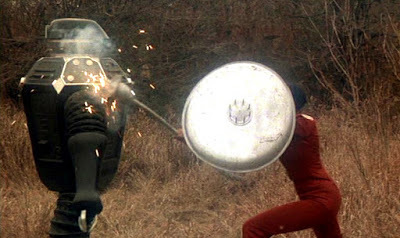 Amusement Corp,1974 ),however, secretly disagrees , and sends a crew off in the space vessel Starstreak to stop Omus . The crew is made up of Dr Caball(Barry Morse ,who had appeared in the Canadian WESTWORLD(MGM, 1973) rip-off ,WELCOME TO BLOOD CITY(EMI,1977)with Palance, but is best known for chasing Richard Kimble on t.v.’s THE FUGITIVE (Q.Martin,1963-1967) and, perhaps the reason he was hired for this film, SPACE 1999 (1975-77,ITC ) ), Caball’s son Jason (Nicholas Campbell, later quite effective in David Cronenberg’s THE DEAD ZONE ,Paramount,1983)and Smedley’s daughter Kim (Anne-Marie Martin billed here as Eddie Benton .Later Ms. Martin starred in the cult horror film THE BOOGENS(Taft Int.,1981)). Caball is accidentally exposed to radiation within the ships reactor room but keeps this information to himself as to not jeopardize the mission. 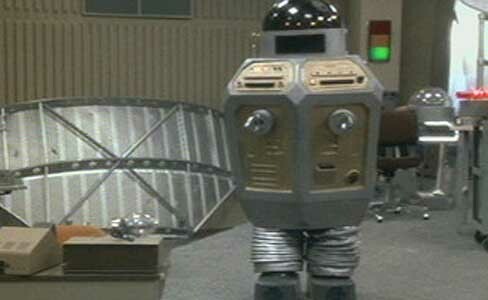 Also on the ship is “Sparks”, a malfunctioning robot rescued from the crashed spaceship from Delta 3. 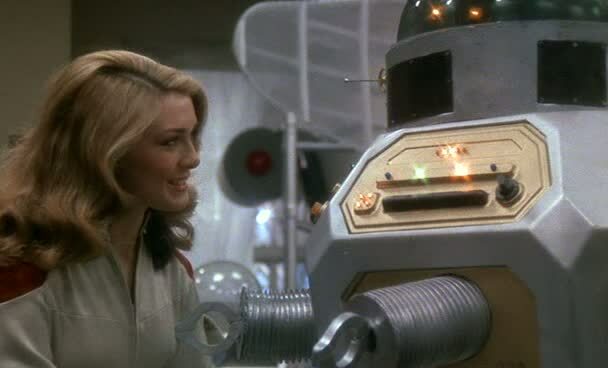 Sparks ranks among the most annoying robots in film history, or as a friend called him,”the Jar Jar Binks of mechanicals“. 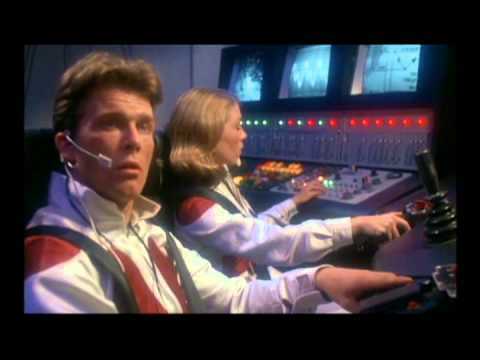 Starstreak malfunctions (this film is full of malfunctioning machinery, making one suspect that writers Martin Lager, Mike Cheda, and Joseph Glazner were secret neo-Luddites) and the vessel is forced to land upon Earth. There they find children who have survived on Earth after the Robot Wars. Finishing their repairs, the space voyagers promise to return once their mission is complete. 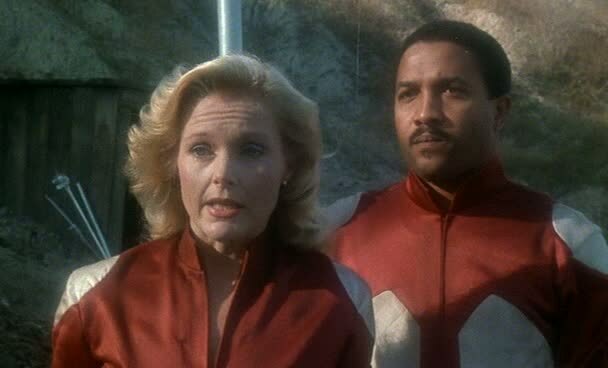 Meanwhile, back on Delta 3, the rightful Governor Nikki (Carol Lynley, a long way from THE POSEIDON ADVENTURE, Fox,1972) is trying to lead a revolt against Omus and his robots. 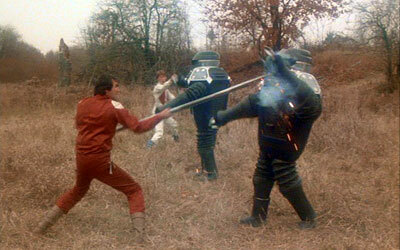 However, her inept fighters are soon overcome by the clunky collection of clanking robots controlled by the evil Omus. 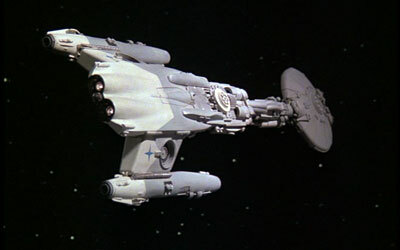 Starstreak is racing towards Delta 3 at light speed, when it encounters a space anomaly that threatens to destroy the ship. 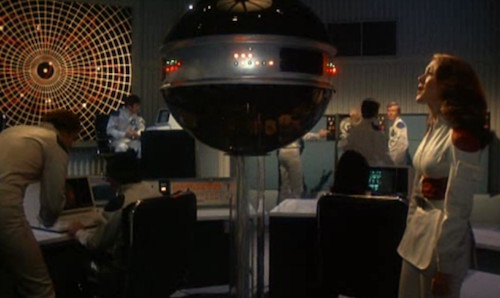 The weightlessness scene does not even go for wire work, but instead as a slightly tilted camera angle as the actors WALK to the other side of the shot. They survive (you doubted it?) 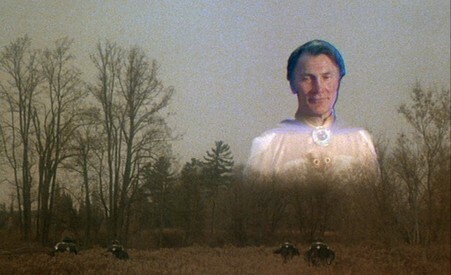 and finally reach their destination, only to be surrounded by Omus’ robots, while a giant Hologram of Omus appears in the sky above them (an effect that appears as if a video camera was used as Palance sat in a chair slowly spinning in a chair reciting his threats). Caball demands to meet with Omus and the villain surprisingly agrees. Caball is bought to Omus who does stock villain rant #3 that fails to move the Doctor to join the dark side. So, Omus dons a helmet and turns torture device whose sound will painfully kill Caball. The device- a spinning disco light (no kidding). Jason & Kim get to Caball too late to save the Doctor, but Kim discovers that the scientist had radiation sickness and would soon have died anyway (that makes it better??) 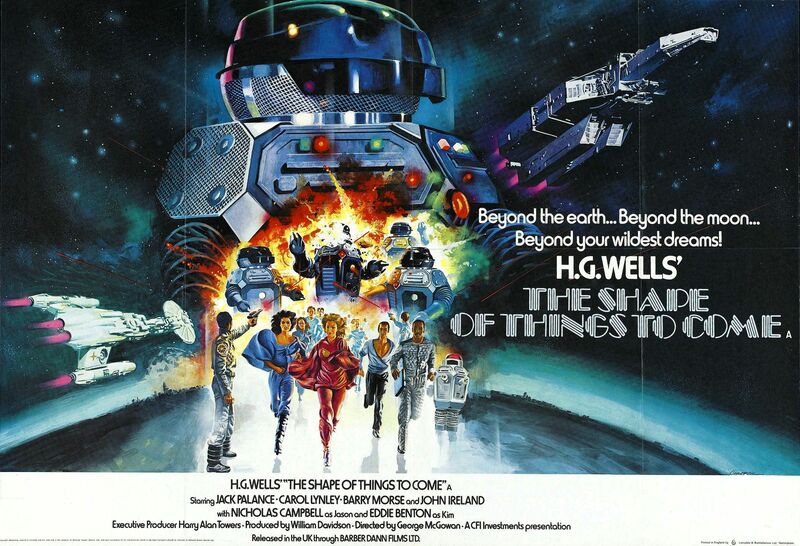 Jason is captured by Omus and his robots and was about to be subjected to the same torture disco ball when suddenly Sparks has all of the robots turn on Omus. Donning the helmet, Jason gives Omus get a dose of his own medicine until he discovers that the planet is about to explode. Sparks teleports onto one of Omus’ ships to take over the control system .Sparks takes the cargo ship full of Raddic -Q2 off as explosions begin to rip through the city. The remaining humans get back to the Starstreak just in time and lift off as the planet explodes, taking care of Omus and his evil robots. 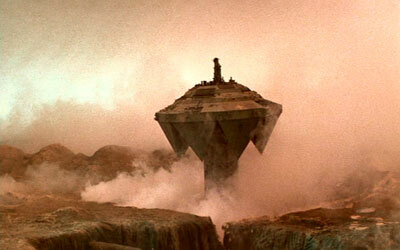 But wait, it has also destroyed the only planet where Raddic -Q2 comes from? What will happen when the cargo ship’s supply runs out? Oh well, don’t think on that, just run the end credits. 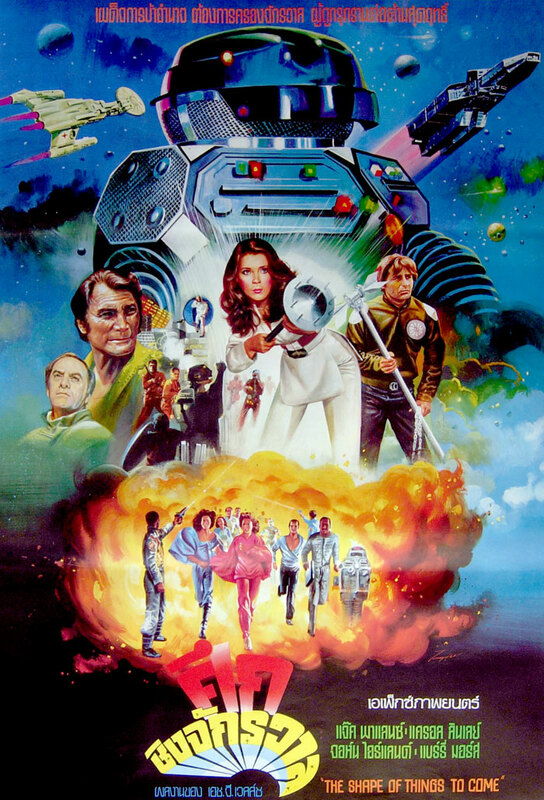 The film is definitely a product of the 1970s, with the jumpsuit outfits, the square computer buttons and green computer screens. 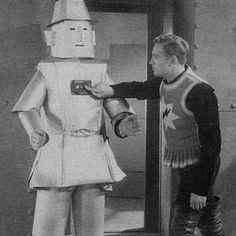 The space ship model work is surprisingly good (Wally Gentleman had worked on 2001(MGM ,1968)), but the robots, however, are throwbacks to the arm waving cardboard wearing creations from THE PHANTOM EMPIRE(Mascot,1935), only with less charm in their design. 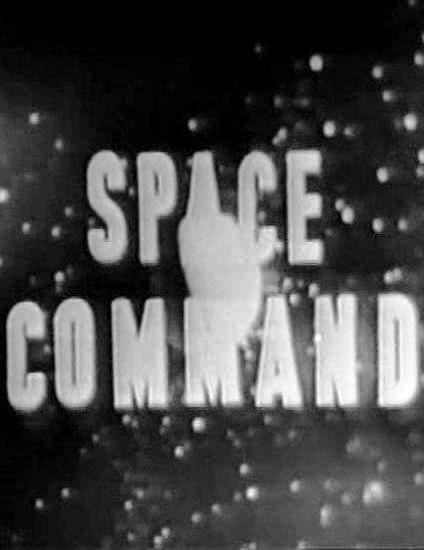 The film has the flat white look of a lot of tv science fiction of the time, most notably the Saturday morning SPACE ACADEMY (Filmation,1977-79, with Jonathan Harris) or JASON OF STAR COMMAND (Filmation,1978, starring —James Doohan). The acting goes from competent(Campbell) to better than the role deserves (Ann-Marie Martin) to “I’m just here for the paycheck” (John Ireland) to “Oo I see scenery I’m chewing it “(Palance and Morse). That could be blamed on the indifferent direction by George McGowan (who also directed the cult classic FROGS(AIP,1972) as well as the so so horror film SHADOW OF THE HAWK (Columbia,1976). 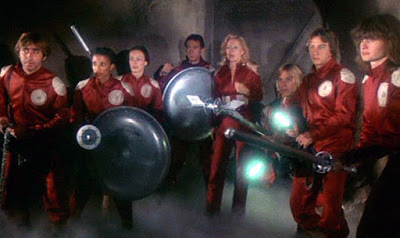 The music is definitely disco era by Paul Hoffert (who wrote a much more effective score for GROUNDSTAR CONSPIRACY (1972, Universal)), even to the damn drum machines. Now, to the Blu Ray, BLUE UNDERGROUND has done an exceptionally fine job of making this film look as sharp and as clear as it has ever looked or sounded. They have created an all new Hi Def print from the original negative and a 5.1. surround sound mix DTS-HD & DTS-HD Mono. There are also optional subtitles in English, Spanish & French. JASON’S JOURNEY-Interview with star Nicholas Campbell. (made for the Blu Ray release). The still active actor has fond memories of going from acting with Laurence Olivier to working on this film, with a special note about Jack Palance and his need for “weed”. SYMPHONIES IN SPACE- Interview with composer Paul Hoffert (made for the blu ray release) The composer talks proudly of his score, and how his floating in space theme is still used by ice skaters, as well as his use of a then new toy drum machine. A Film Ventures TV Spot (rated PG). There are those who will appreciate the campy charm of the film and its cheesy effects and hammy acting by some of the stars. I, for one, am not one of them. Kudos, though, to Blue Underground for their usual high caliber restoration of an obscure title. 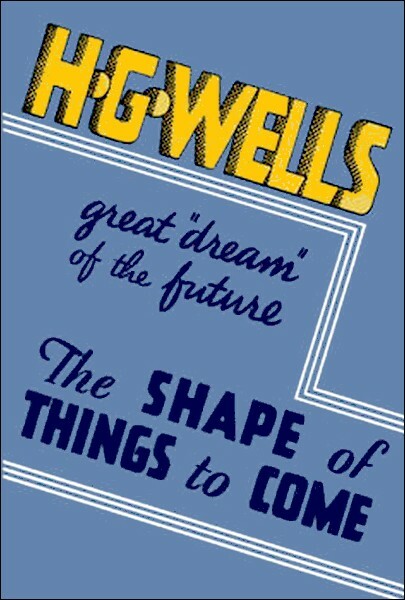 *Wells screenplay of Things to Come was based on two of his books, “Shape of Things to Come “(1933) and “The Work, Wealth and Happiness of Mankind” (1931). He originally titled the screen treatment “Wither Mankind?”. *- the CCA was reduced to 50% in 1982 and the Canadian film boom was over.